Tahini is made from 100% sesame seeds. It is prepared by grinding roasted sesame seeds into a fine paste. Sesame seeds are very rich in poly-unsaturated oils giving tahini its creamy nutty texture. Historically many Middle Eastern dishes were prepared with tahini. The most famous dishes are Hummous (chickpea dip) and Baba ghanoush (roasted eggplant dip) which are the main two appetizers of mezze. To make the tangy sauce known as Tarator simply add lemon juice and garlic to taste then blend adding water until the desired consistency is reached. Harkola has been supplying the best restaurants, manufacturers, chefs and health conscious consumers with the leading premium quality Tahini in Australia and New Zealand for more than 30 years. 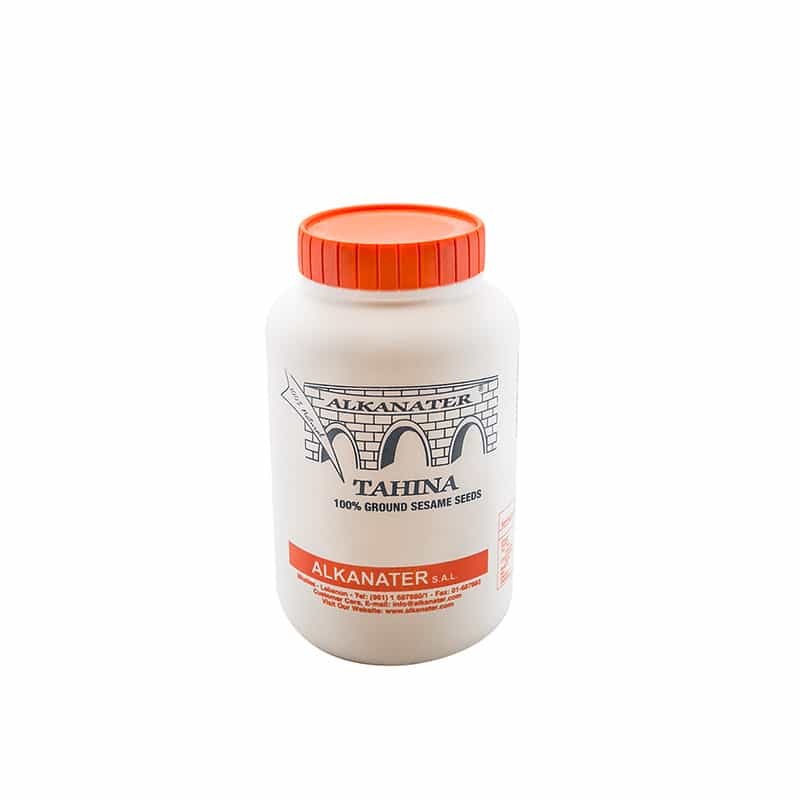 Alkanater Tahini (Sesame Seed Paste) is available in a variety of sizes. Ranging from 450 gram samplers tubs up to 18kg bulk pails used by restaurants, caterers and dip manufacturers. Alkanater Tahini is made from 100% sesame seeds. It is prepared by grinding roasted sesame seeds into a fine paste. Sesame seeds are very rich in poly-unsaturated oils giving tahini its creamy nutty texture. ALKANATER, established since 1977, is a company specialized and focused on the production of two sesame based food products Tahini and Halva. The company also produces Turkish delight. The vision of Alkanater is to achieve market leadership in the markets served. By producing high quality products the Alkanater food company has gained leadership through its wholesaler, distributors, partners and end-user customers worldwide including Australia. The products are manufactured under strict hygienic conditions using the latest technologies that satisfy the company’s aim of producing and retaining their superior food ingredient quality. The company continues to ensure the satisfaction of its customers through quality food products and long term mutually beneficial partnerships with food importers and wholesalers around the world. Harkola has been importing Alkanater products into its Sydney warehouse and distributing to wholesale customers across Australia and New Zealand. The Alkanater Tahini and Halva products have gained worldwide recognition due to their consistent high quality and excellent taste. In fact, for the past two decades, Alkanater have been the leaders in the Lebanese market and the number one exporters by maintaining the quality for which they are very well known and by continually improving and introducing new technologies into the production line. Some of countries the Alkanater products are exported to: U.S.A, Canada, France, England, Germany, Spain, U.A.E, Qatar and Bahrain. Alkanater Tahini (Tahina, Tahineh, Sesame Paste) and Halva (Halawa, Halwa) is available through Harkola.